The Caribbean island of St Lucia has announced some very encouraging visitor figures, with data showing that 15 per cent more people have holidayed there so far this year compared to the same period in 2011. 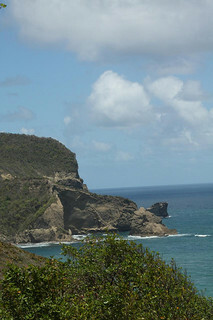 The St Lucia Tourist Board revealed that holidaymakers from the United Kingdom were mainly responsible for the excellent results, thanks to 30 per cent more people than last year travelling there in the first three months of 2012. Canada also made a strong contribution to St Lucia’s improving fortunes, with a 28 per cent increase in their visitor numbers. Louis Lewis, the sovereign country’s Tourism Director, noted that the figures were particularly impressive given the challenging current global economic climate. To see what all the fuss is about for yourself, why not book your own trip to St Lucia? An especially popular location for singles holidays, s, this picturesque island is the ideal choice for people looking to enjoy a truly relaxing break.